Love getting messages like the one below from LinkedIn. While I am busy, like all of us, I am not better than helping others. I’ve been fortunate to have a successful career and it seems that my newest chapter of enjoyment in life is helping others. In case you were interested, here was my response to this person. I started learning web design in 1999. For a college project we had to build a website on the school servers. I figured if I was going to put that much time into it that I’d buy a domain and put it on my own hosting account so I could at least keep it. That’s when I started my first site, EliteRides.com, a website for car enthusiasts. EliteRides started getting traffic so I started researching how to monetize it. Then I started experimenting with how to drive more traffic. That’s what introduced me to internet marketing. I did basic websites for other people on the side for a few years. Got a full-time job in about 2003 as a designer. Over the years I had built up enough clients on the side that I took the risk and started my own business. It started mostly as a web design company. I had a few clients ask about showing up higher on Google. I knew enough that I offered them a good enough deal to let me experiment with optimizing their site in exchange for a discounted rate. Everyone that I did that for I had success. So I shifted my company’s focus to SEO. Haven’t looked back. The freedom of running your own business, all while working with great businesses. I have three kids, so it’s important to me to have the flexibility to walk them to and from school, take a break with them, go bike around the block, etc. The constant workload is not so much a hard part of the job itself, but a fault of my own of always trying to be productive. Other people may not like the constant evolution of the industry, but I do like that. Keeps it interesting and holds my attention. Organic rankings will likely continue to benefit more and more from content-driven efforts. One thing I’m confident on is that SEO will not be dying any time soon. Unless Google goes to a 100% paid-only model, there’s always going to be a way to attempt to optimize organic results. Be realistic about your expectations and the expectations that you set for your SEO clients. 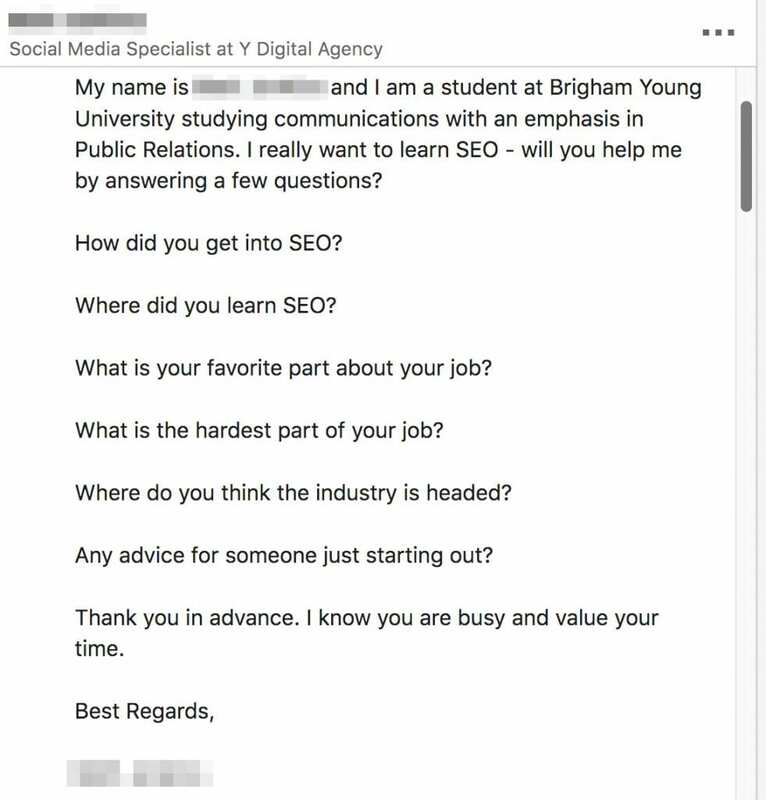 You know that SEO is a slow play. Be transparent about that. The more transparent and honest you are about your processes, the stronger relationships you build with your clients and the longer they will stay with you. In my opinion, there are two types of SEO’s. In short, I think that tactical SEO will always win short-term/blackhat gains. Short-term tactics may bring quicker results… but they rarely last. If I can answer any more questions or help with anything else, you’re welcome to schedule a call with me using the link below.